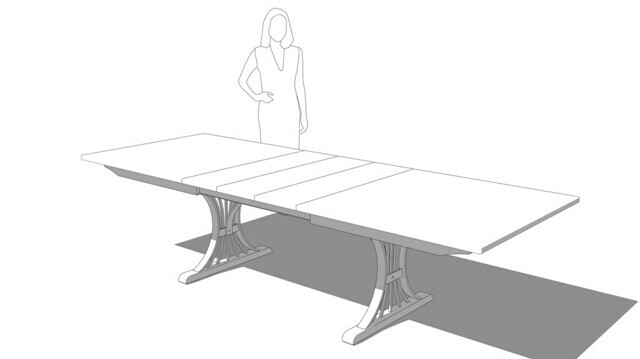 I thought I'd share some images of a dining table I designed for clients in New York City. 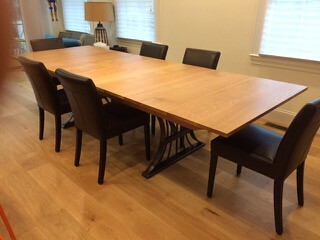 They wanted an extension table large enough to seat 10, or even 12, for their frequent large Friday night meals but they wanted it to suit their smaller family the rest of the week. They asked for a wood top and steel base. This is what I presented. I spec'd equalizer slides from Osborne Wood Products which worked quite nicely. 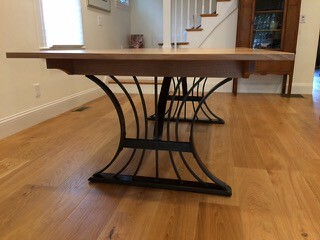 And here are pictures of the finished table in place. 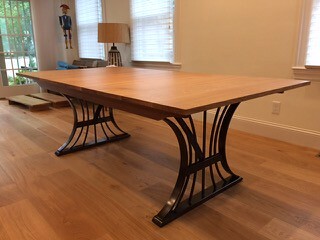 The table was built in Hendersonville, NC. Unfortunately those are the best photos I have. 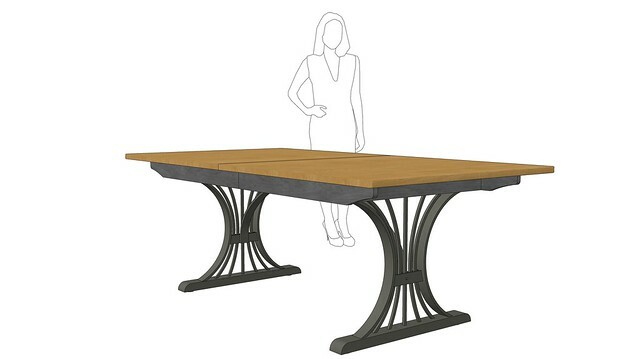 This is an awesome table Dave - I love the look of the Steel frame below! I tried to get the leaves to store in the table but the client wanted fixed apron pieces on the leaves so they wouldn't fit. The extension mechanism is a commercially available thing. 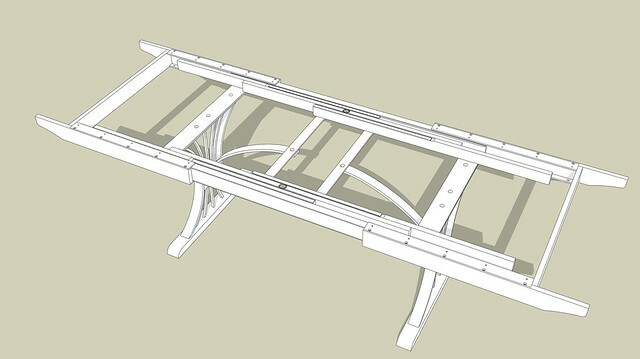 It is designed so when you move one side, the other side of the top also moves. Great work, Dave! Love seeing finished projects. It looks Wonderful and luxurious.I really love the combination of wood and metal it looks so classic. I seriously appreciate your work. Last edited by jasper123 on Wed Dec 26, 2018 1:53 pm, edited 1 time in total. Excellent work, as always. The table must weigh a ton, though. davidheim1 wrote: Excellent work, as always. The table must weigh a ton, though. Thank you, David. Apparently it was quite heavy. No worries about it tipping when someone leans on the end, though. And really fun to see the realized project alongside the original design. Kudos! Really beautiful Dave. Congratulations on the completion! A very NEW YORK table.